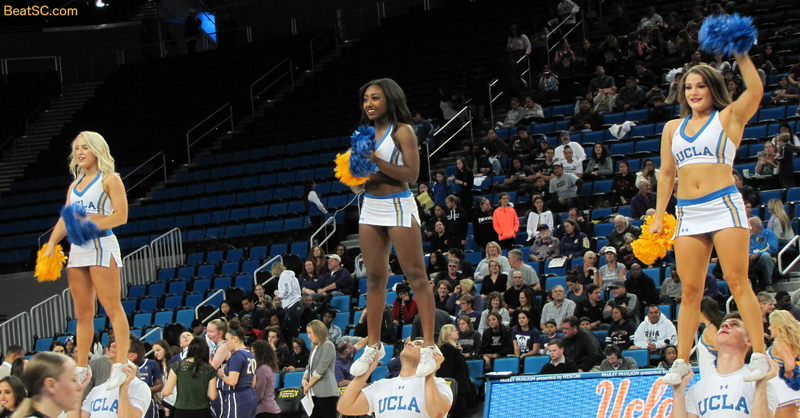 While the ex-trojan was a big part of the worst Offense in Super Bowl History, the Bruin — Matthew Slater — contributed to a stellar NE Special Teams that was instrumental in the win. 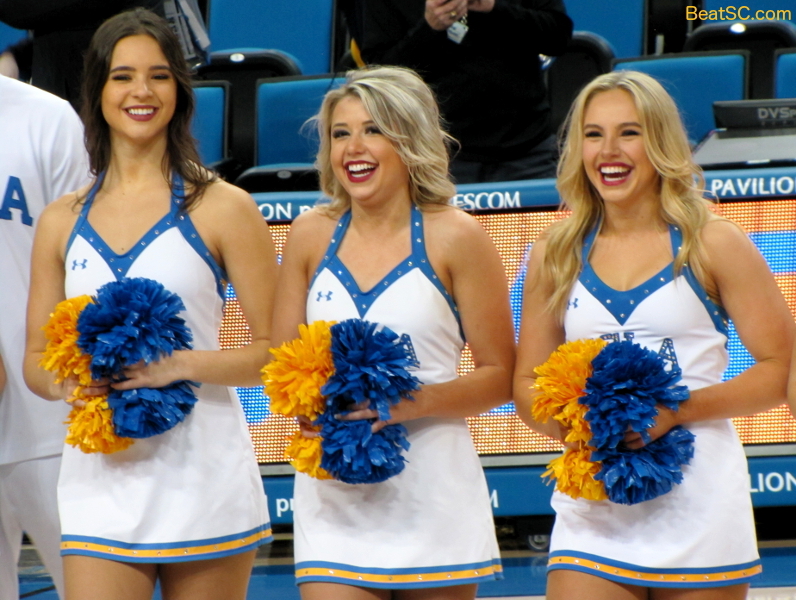 In the 3rd Quarter, Slater downed a Punt at the L.A. 2-yard line, and later delivered a crushing tackle on another NE Punt, dropping the Returner for a 1-yard loss. 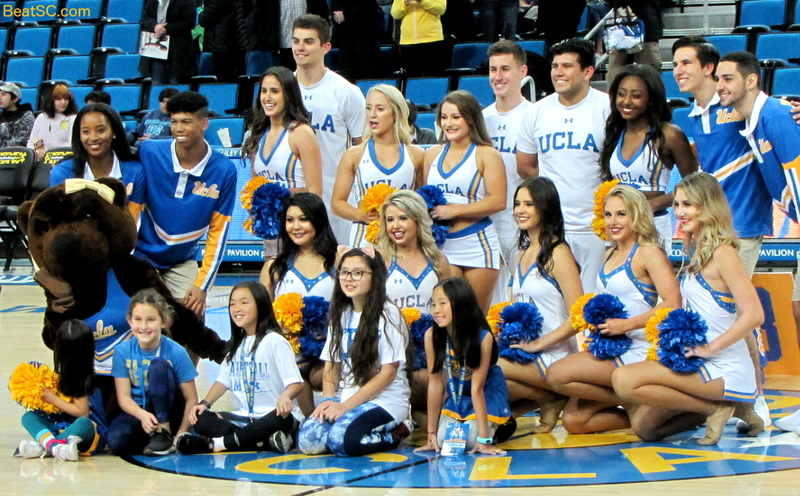 The Special Teams efforts helped keep the Rams at bay all day, and the Patriots’ Defense did the rest, adding up to a deserved victory, which culminated in Slater getting his THIRD Championship in the NFL. 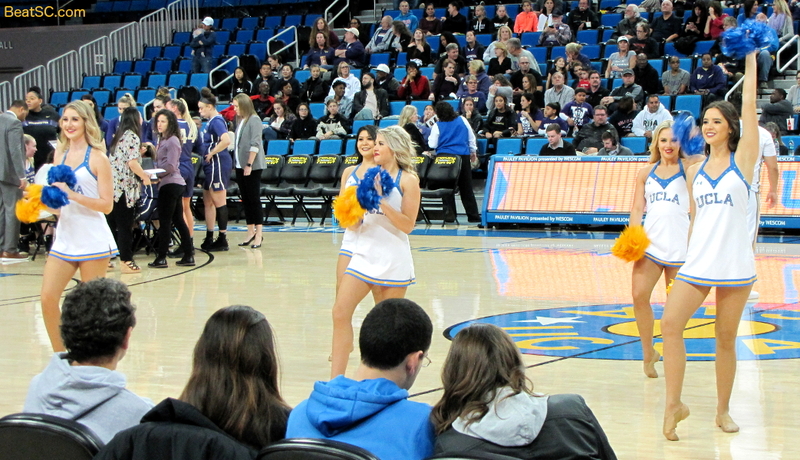 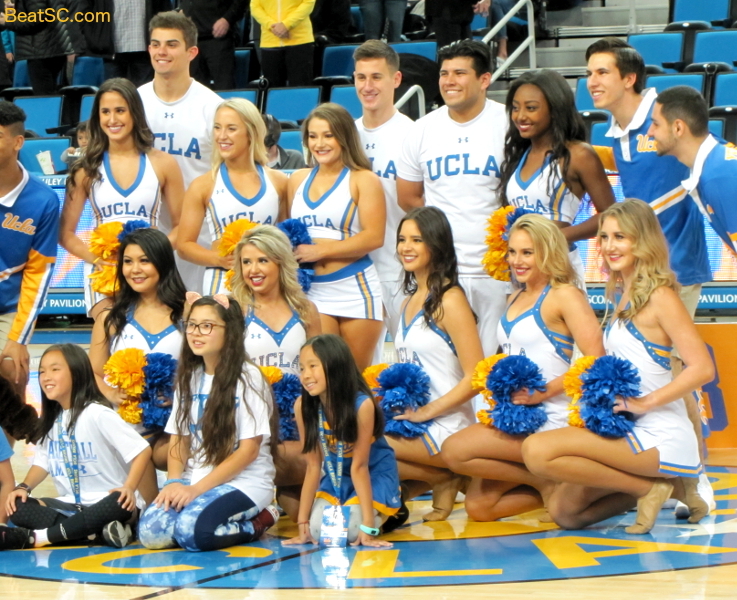 Speaking of Bruin Champions, here are 25 more pics of the UCLA Spirit Squad, taken on Sunday before the big game, at the UCLA Women’s Basketball game versus Washington, where the Huskies were blown out 76-60. 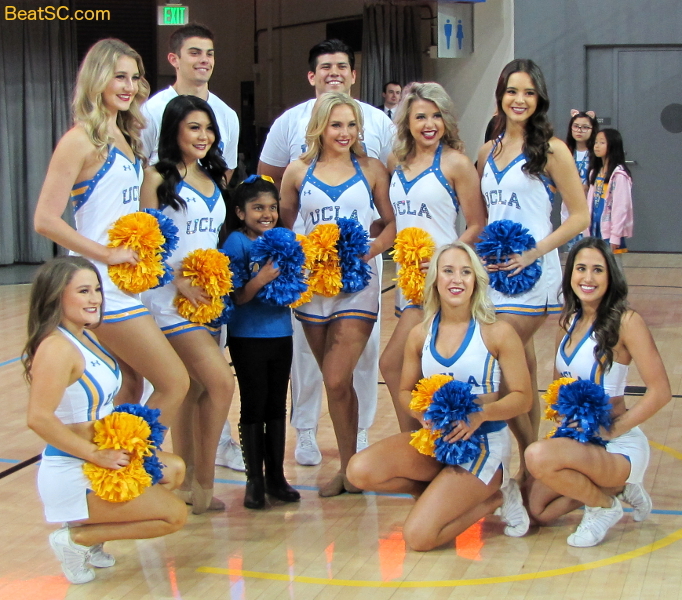 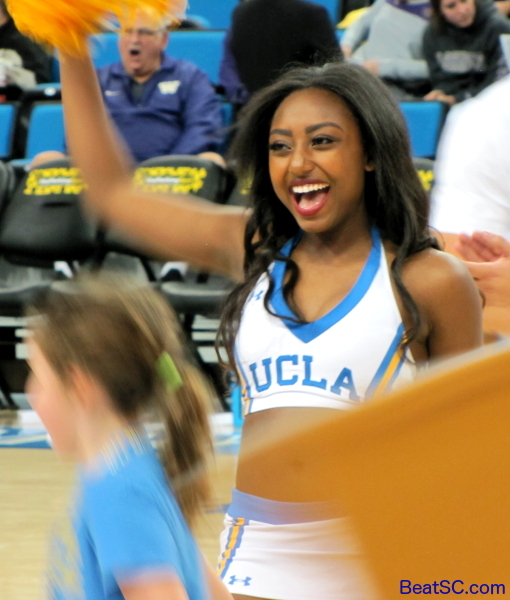 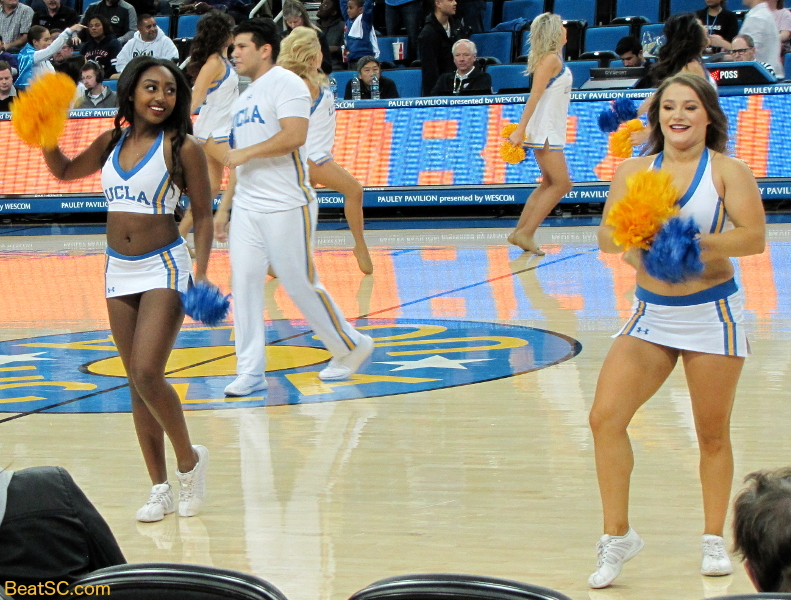 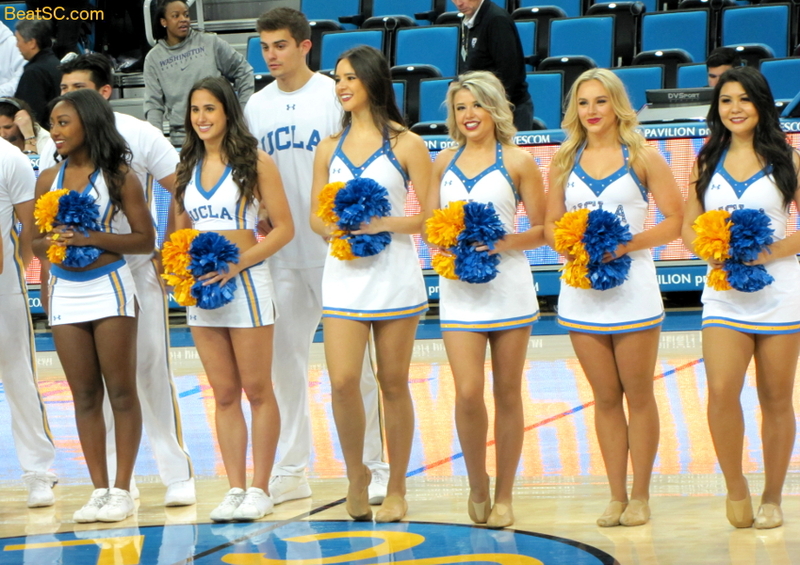 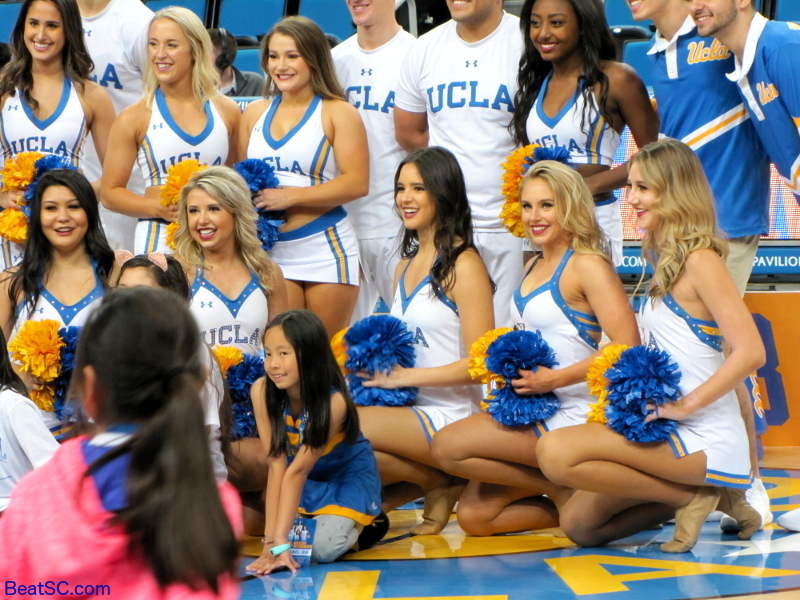 "KNOCK ON WOODS" was published on February 4th, 2019 and is listed in Blue & Gold News, News from the Dark Side, Non-Rivalry News, UCLA/usc/Cheerleader Photos.